Allen & Shariff provide MEP Design services for the Rotunda Mixed-Use Project. 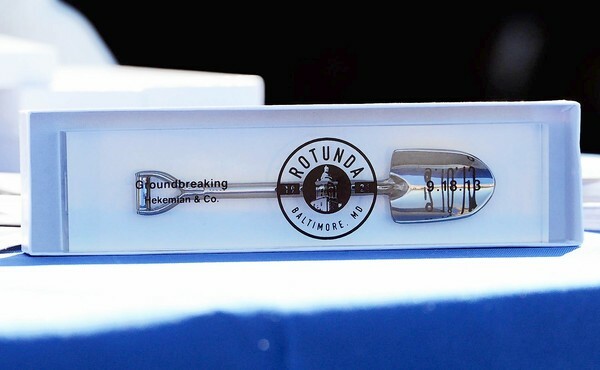 The groundbreaking event for the Rotunda Mall redevelopment project was held in Hampden on Wednesday, Sept. 18, 2013. Developed by Hekemian and Co., The Rotunda will be a stunning mixed-use community offering luxurious apartment homes, premier shops and restaurants, and convenient office space all located at one of the Hampden area’s most recognizable and revitalized destinations. The Rotunda offers retailers and other commercial tenants a premium location and an amazing opportunity to attract a wide variety of customers.